This is the first in a new series by shop regular, Chris Haas, The Book & Brew Review. What don’t I love about this cover? The art is incredible, of course, and Mike Del Mundo delivers as usual. My favorite aspect would be how he uses the yellow and pink to create shading and depth. His work succeeds in what every great cover should do and that is to capture my attention. The part that I enjoy the most has to be the emphasized connection between father and son. A little history lesson if you will indulge me. The guy getting the haircut from a blindfolded chick happens to be David Haller (aka Legion). His deceased father is well known mutant leader Charles Xavier. And there, in lies, the major problem with David’s life. Despite the recent death of his father, he can never escape his father’s presence. 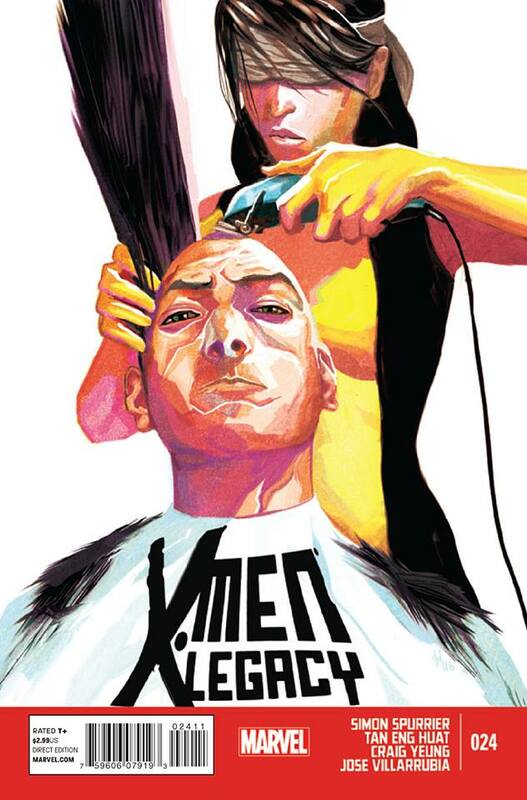 Removing the ridiculous haircut that has made Legion so recognizable destroys the former identity. Of course, no haircut takes place in the comic. That would be silly. But the father issues are blatant throughout the entire series. To show Legion with that bald head reminds us of how much he truly wishes to live up to his father’s legacy. Get it?!?! Legacy?…yeah, it’s a little on the nose. Overall, the writer, Simon Spurrier, should feel pride when it comes to completing a well-written series that was based around someone who doesn’t really show up on the radar when it comes to major X-Men storylines. The covers just happened to be the icing on the cake. I am not an expert. By any means. But when it comes to stouts, I feel that I’ve found something special in this particular beer. Recently, I was informed that Goose Island is not technically a craft brew due to their sale to Anheuser-Busch in 2011. But I say screw the details, this beer is craft at heart and it remains delicious. 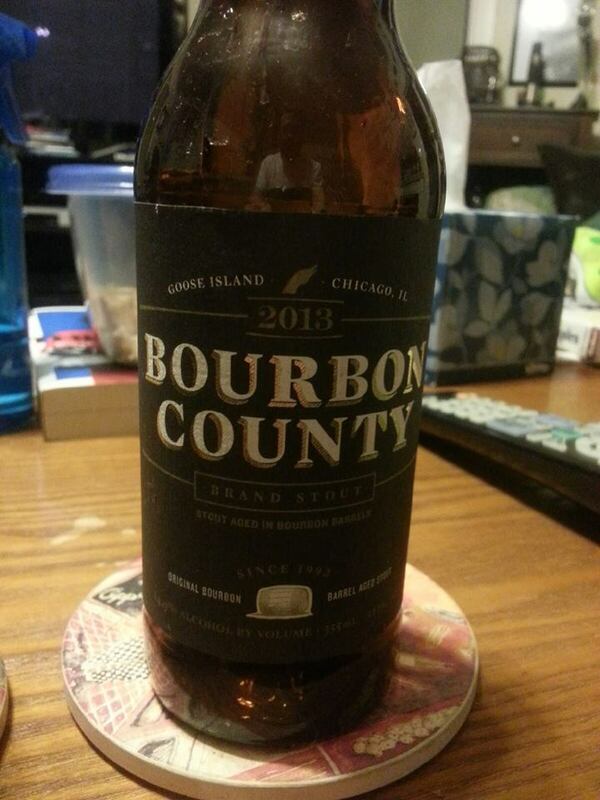 It is considered an American Double/Imperial Stout. And this wonderful, tasty beer clocks in at an impressive 14.2% ABV. It’s wood and barrel aged, with a dark, thick body. When I pour, I always notice the almost syrup like quality. Up until at least 6 months ago, I wasn’t a big stout person. They belonged to a class of beer that didn’t strike me as spectacular. I don’t know what happened, but one day, the palate changed. And I’m thankful for that because it led to me enjoying this fine beer. It was perfect for a cold winter night while reading my comics, and I hope you try it as soon as possible (if you’re able to get your hands on it).